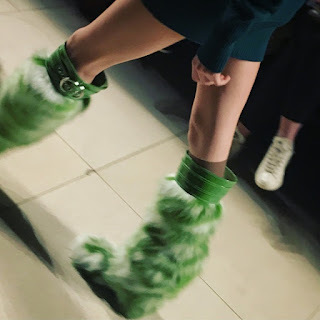 Purple Button Couture: What I Am Loving ATM ~Miu Miu Autumn 2017~ Boots!!!! 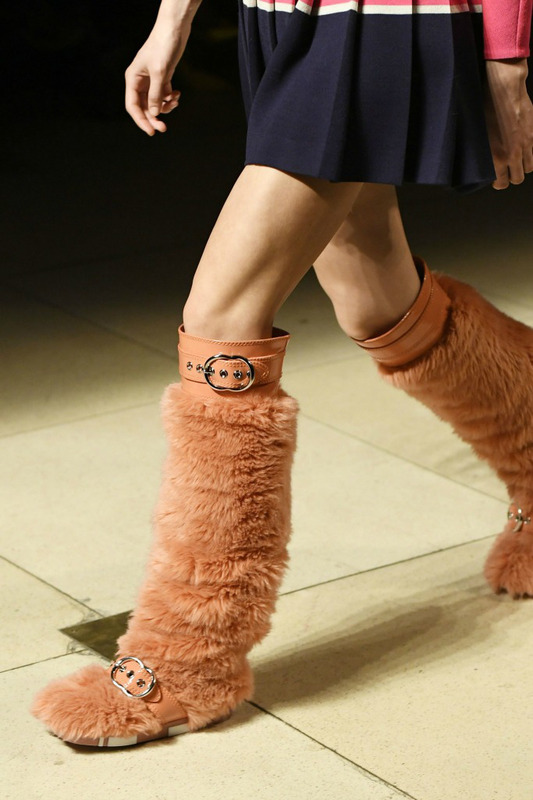 What I Am Loving ATM ~Miu Miu Autumn 2017~ Boots!!!! I am in love with Miu Miu's Autumn 2017 Ready to Wear Furry Boot collection!!! 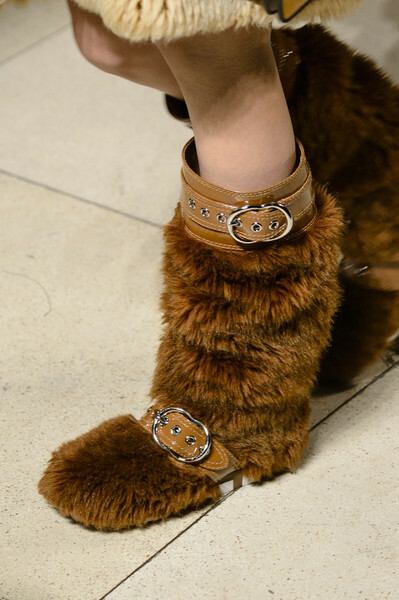 I mean how can you not love them, they look like slippers, I think they would be so cosy!!! I do love anything fuzzy and furry, just an overgrown child really!!!! 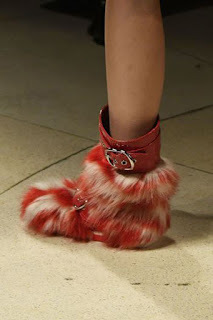 Unfortunately I don't think the price tag will be as lovable so there may be a creative make 'n do post in my future!!! What colour is the nicest? ?